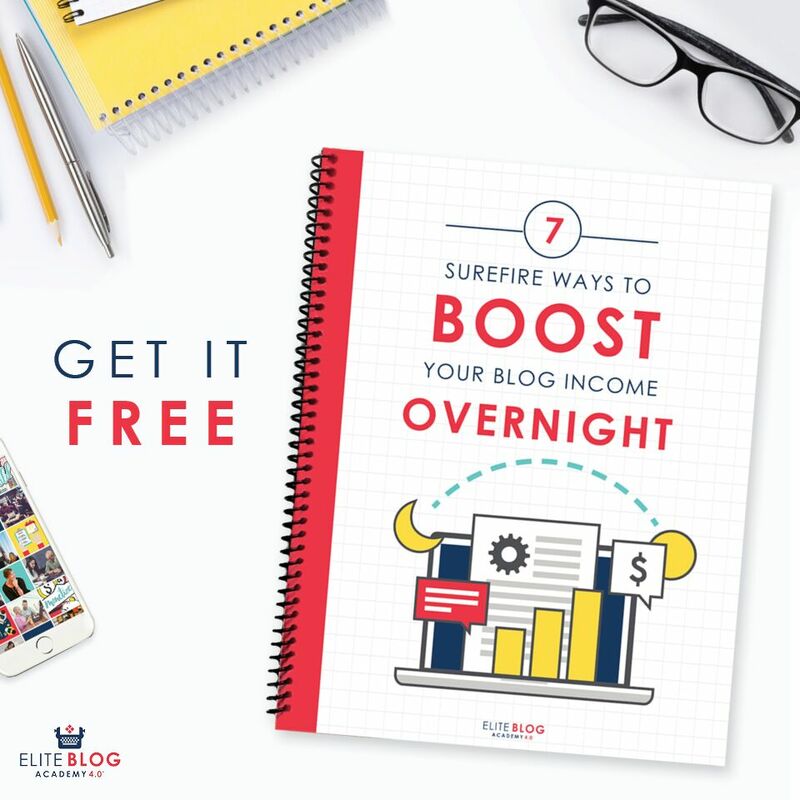 For the first few years of making money as a self-employed person I tracked everything in a spreadsheet. (You can see it here.) It worked well for a while but could be a pain when I was trying to tally up specific subsets of information across the span of the year. Also, sometimes I would forget to add all of my expenses and then come tax time I’d spend a large chunk of time double checking all of my numbers. a try after seeing many other online entrepreneurs and freelancers using it. It was fairly inexpensive so I figured I didn’t have much to lose and was hoping it’d be easier than my spreadsheet tracking. Once I got the software I connected all of my business bank and PayPal accounts. It automatically imported all of my transactions and with just a little bit of tweaking I could see my month to progress laid out beautifully. The other section that I LOVE is the tax section. I’ve always worried if my tax estimates were correct so I definitely appreciate that this software calculates everything for me. 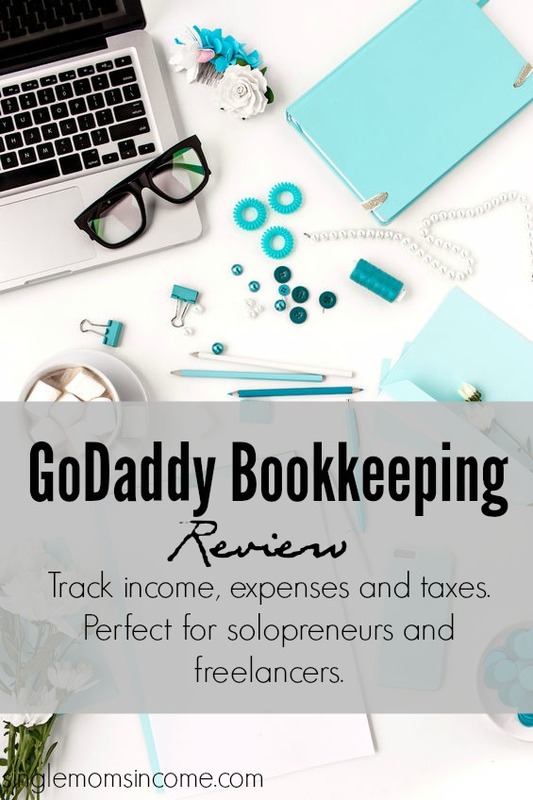 GoDaddy Bookkeeping will calculate your self-employment tax and also provides a Schedule C you can print off at the end of the year to file your taxes or to give to a CPA. My business is pretty simple. I normally receive payments from the same companies each and every month and have many of the same expenses. But if you have more sales going on you can use the reports feature to break down income by types of customers, by state, types of income and more. You can also see expense reports. You can also track hours worked if you’re freelancing and billing by the hour and send invoices straight from GoDaddy. I used to be a bookkeeper and used QuickBooks to manage everything. However, when it came to my personal income I felt that QuickBooks was way more than I needed. This why I love GoDaddy Outright Bookkeeping. It’s simple. I wouldn’t recommend this software to a large business or someone looking for a ton of frills. 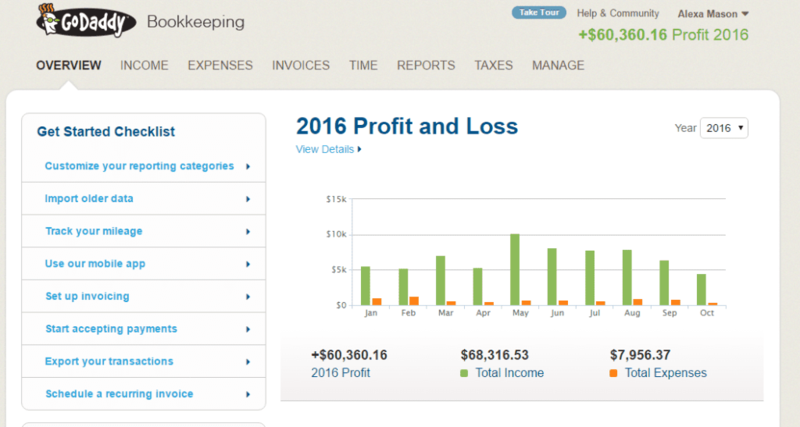 For someone like me interested in accurately tracking income, expenses, taxes and seeing reports regularly this software is pretty great. If you’re interested in trying it you can get GoDaddy Outright online bookkeeping for just $9.99 / mo. or if you prefer spreadsheets you can see the one I used for many years here. How do you track your self-employment income and expenses? I have been using spreadsheets to track everything. However, I am terrible about updating them some months. I think something like this software may be better for me. 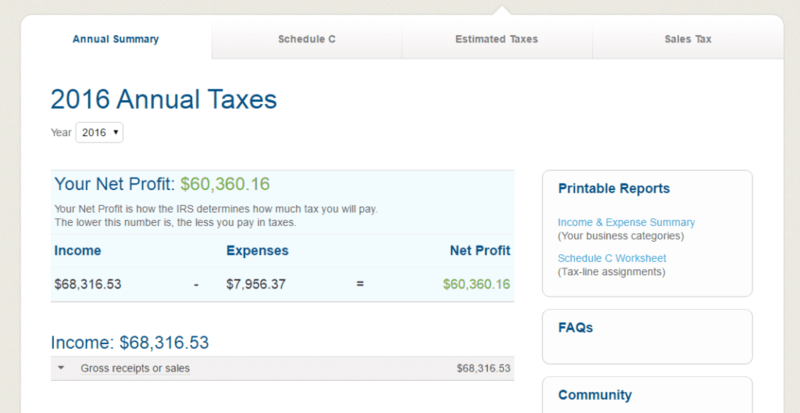 Does it calculate quarterly taxes for you too? Seems like it’s really been saving you time and greatly reduced having to hand key things in your spreadsheet. I will definitely need to check this out. Thanks for sharing!!! It’s SO much nicer. I love being able to log in and just see how everything is going. I truly love it! Well, bookkeeping has a very lot of usefulness for both small and big businesses. Because when it is coming to run a business then size is not a matter of fact, bookkeeping is a very aspect that has to be carried out if the business is ever to truly succeed. I genuinely loved the whole phenomena of godaddy bookkeeping that was described in your article. Though I am now connected with other bookkeeping service still I will try it at least once in order to compare the performance of both service. If I feel it is better then I will surely implement it in one of by other business sector. I want to Thank you mainly due to pictorial representation of the performance in your article.